Benbecula Airport Coastal Protection Works | Maciver Consultancy Services Ltd. 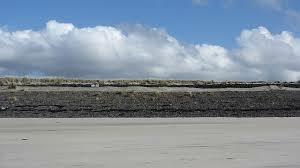 The Benbecula Coastal Defence Works project consisted of two phases. Phase 1 was constructed in 2002 and Phase 2 was constructed in 2008. The Client on the project was HIAL Ltd and the Contractor for both phases was Bardon Aggregates Ltd. The design consultant was Pick Everard and Maciver Consultancy Services Ltd provided Site Supervision services. The project involved the construction of gabion baskets and reno matresses, which were designed to protect the runaway at Benbcula Airport from the threat of coastal erosion.